Candy canes, gingerbread, hot cocoa, and cookies are all sweet treats of the December season! 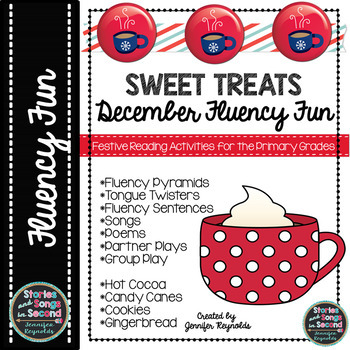 Your primary grade readers will have great fun practicing their reading fluency with the variety of thematic activities featured in this literacy resource! 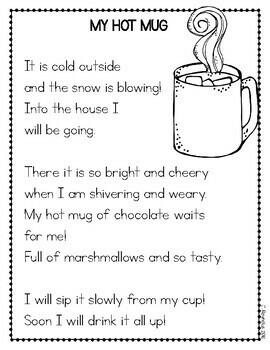 Each themed set includes fluency pyramids, alliterative tongue twisters, rhymed poems, and adapted songs that are festive but not aligned to any particular holiday! 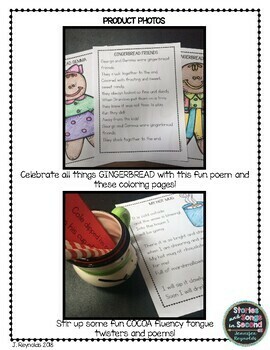 Each one can be used with either small or large groups, or read independently or with a partner at center rotations. Favorite literature links and online song sites are included as well. 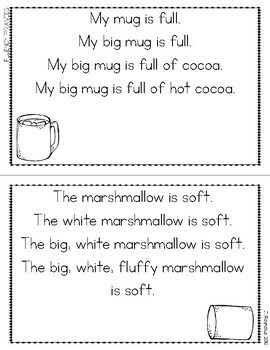 Blank templates for fluency pyramids, tongue twisters, songs, and poems are also provided so students can write their own! Colored picture props are included for each play. Know that I appreciate your continued patronage of my shop, and look forward to reading your thoughtful feedback. Your comments truly do help me improve my product line. Be sure to click the green star next to my store logo in order to follow me and receive sale and new freebie notifications.